Hi, Good Morning. Thank you, friends and viewers. 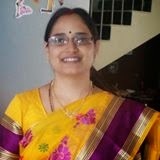 Today I will post how to make potato brinjal curry recipe. Potato brinjal Curry is a classic, simple and less spicy curry. Brinjal Potato is the best combination. For that matter, anything combine with brinjal tastes really good. Today's recipe is special to Andhra and it is made mainly in my family circles. Rather I have seen it in my family circles only. Very easy to make and can consume with hot piping rice. 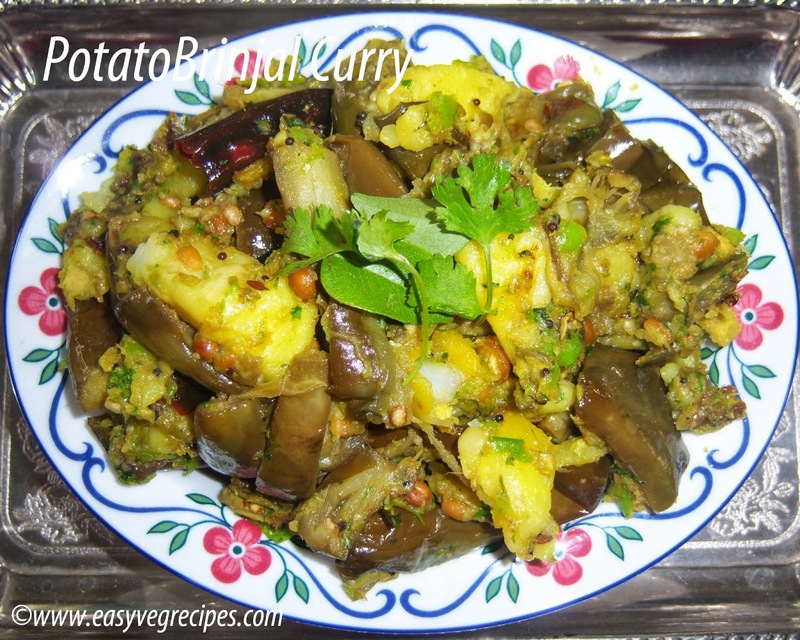 We make two varieties of brinjal potato curry. One is I am presenting here and another is by adding koora powder. The combination of brinjal and potato increase the volume of the curry. So prepare the curry according to our necessary and consumption. Peel potatoes and pressure cook them for three whistles. Cut brinjal and drop them in water, to prevent from de-coloring. Grind ginger and green chillies to make a paste. We can also use mortar and pestle for grinding. It gives a classic taste to the curry. Once ginger and green chillies grind to coarse paste add little coriander leaves, once again grind it to make coarse paste. Heat oil in a kadai, add bengal gram and black gram. When they turn light brown add mustard seeds, cumin seeds and red chillies. When they start spluttering add brinjal. Add salt and turmeric powder. Mix well. Allow it to cook till the brinjal softens. Add boiled potatoes and mix it well. Now add grounded ginger green chillies paste. Mix well so that all the spices combines with the curry. Serve potato brinjal curry with hot piping rice. Thank you for visiting my blog. Hope you liked all my recipes. Any feedback and comments are appreciated. For more curry recipes click here. Can contact me through Whatsapp: +91 99667 00045.